To create awareness among the people on maritime laws and shipping related safety measures, the Maritime Safety Week-2019 began on Saturday across the country. 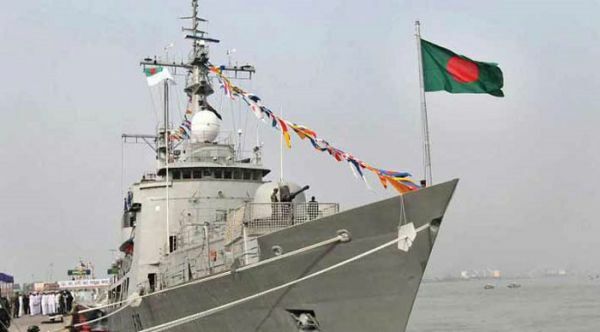 On the eve of the week, President Abdul Hamid and Prime Minister Sheikh Hasina on Wednesday issued separate messages with a call to all concerned to ensure safe shipping in the country by making the navy journey free from pollution and illegal occupation. The President, in his message, called upon all to free the river from pollution and occupation and make the dream of building a safe and world class naval system. In her message, Prime Minister Sheikh Hasina urged the drivers of the river transport to follow the rules and regulations of their naval vessels. The Prime Minister encouraged the private companies to assist the government to ensure naval development. She also asked the passengers to use the waterways by taking proper precautions. On the occasion of the week, State Minister for Shipping Khalid Mahmud Chowdhury is supposed to inaugurate a function at Sundarban-10 Launch and a naval rally as chief guest today at 9:00 am in city’s Sadarghat terminal. Chairman of Parliamentary Standing Committee on Shipping Ministry Major (Retd) Rafiqul Islam and Shipping Secretary Mohammad Abdus Samad will be present as special guests on the occasion. Besides, a discussion meeting will be held on April 3 in the city’s CIRDAP auditorium. Chief Whip of the Jatiya Sangsad Noor-E-Alam Chowdhury will be present as the chief guest.